The Elo Entuitive 1529L has been designed for touch from the ground up, with such features as spill-resistant sealing, a stable tilt base that is removable or reversible for wall mounting, a VESA mounting option, connectivity incorporated within the monitor, reducing the number of power bricks and communication cables, and side controls with lockout for public use. 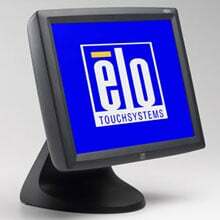 Elo's Entuitive 1529L touchmonitor offers a wide range connectivity, including serial and USB, and a choice of IntelliTouch surface wave, AccuTouch five-wire resistive or CarrollTouch infrared touch technologies. Also available is the Entuitive 1529L TouchComputer, a silent, fanless integrated all-in-one touchcomputer within the footprint of a 15" LCD monitor. The Elo E411937 is also known as Elo Touch Systems	ELO-E411937	.